We were on a mission to find the best possible safari hat. 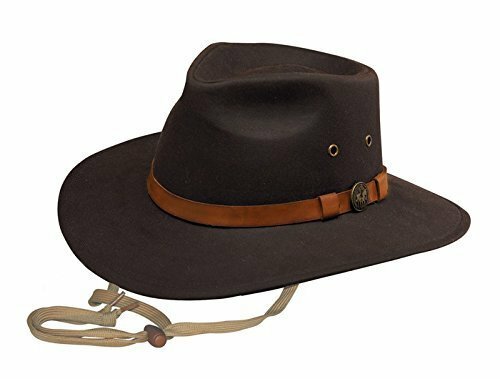 My first search for a good safari hat turned up very little and left me struggling to find a great hat for safari. We wanted a stylish hat that looked great in photos while in Africa, and not just solely because of its functional purpose. For my generation, the idea of protecting ourselves from the sun is almost a joke. 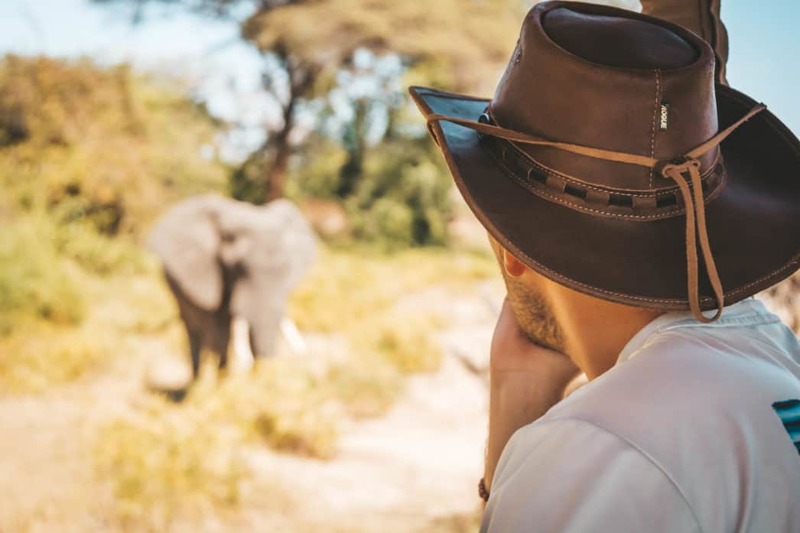 However, on safari, we have come to learn you’re faced with long days out in the strong equatorial sun and to avoid skin damage a packable sun hat is a necessity. Despite loads of stylish safari gear, a good safari hat serves a purpose. 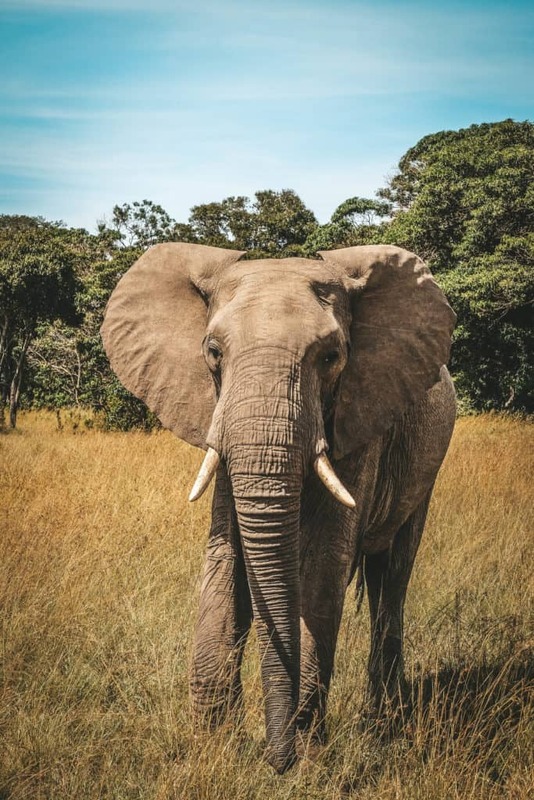 Anyone who’s spent time in the African sun can attest to the power of the rays and a hat for safari is the first line of defense from sun damage. I became obsessed with the idea of the perfect safari cap and found my self-asking to try total strangers hats to find the perfect fit. With all of this testing and searching, I made some headway (pun intended). After all that effort, my six-month mission to find the best safari hat money can buy was a total success. 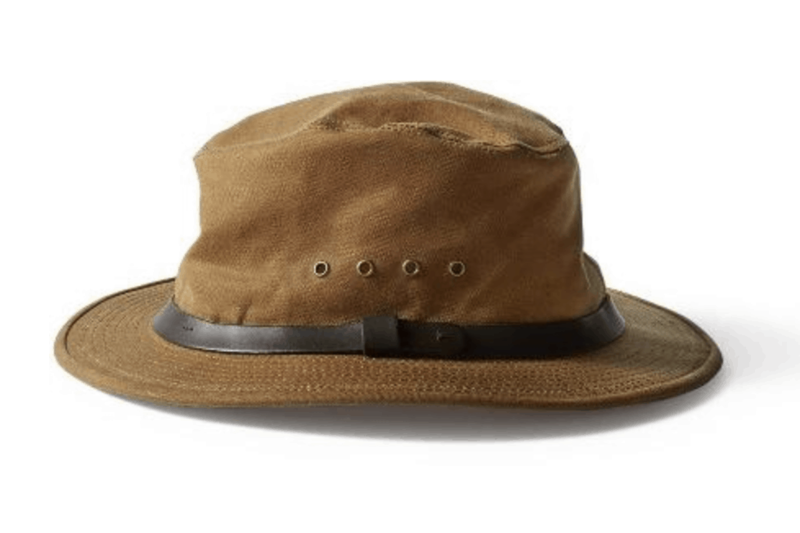 What Makes A Great Safari Hat? Everything that comprises a great sun hat is found in a safari cap, essentially they’re the same thing. 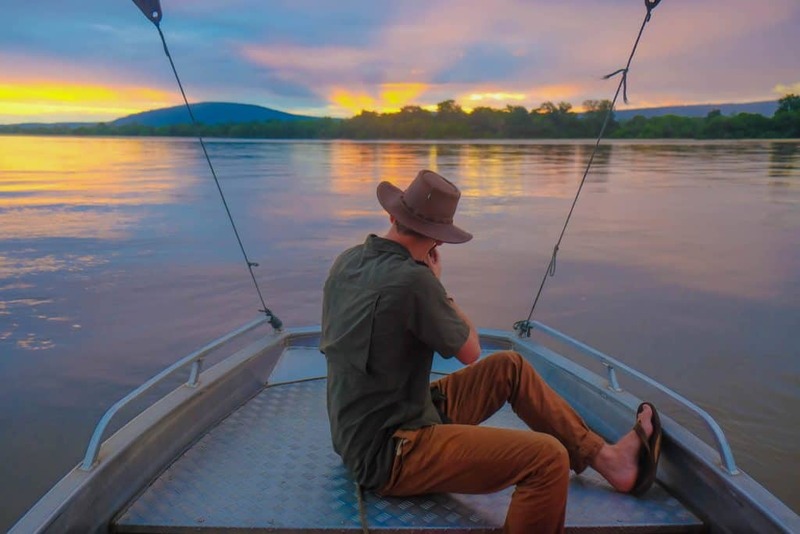 The one exception with a safari hat is that you can get away with more rugged materials that look stylish and not like a Crocodile Dundee impersonator. It may seem silly to have a waterproof hat in the dry season, but you’re probably going to be sweating a lot. Not to mention there is no point in buying a flimsy cotton hat that will only last a short while. We’ve been caught in rain showers while on safari in both South Luangwa and the Masai Mara, without a safari hat and it sucked. If you’re going to be wearing something on your head all day making sure that it is comfortable is a no brainer. Although, safari pith helmets are world famous for being the headwear of famous British explorers and look great in safari photos they’re terribly uncomfortable. Yes, we’ve tried them. Leather, rubber, or synthetic all have their own advantages. What you pick for your safari hat depends on personal preference. My pick was for leather because it has the classic safari adventure feel and look – and with maintenance and care, they can last forever. What you wear on your head says a lot about you. I had my idea of what the perfect safari cap would look like and I was set on finding the perfect fit. 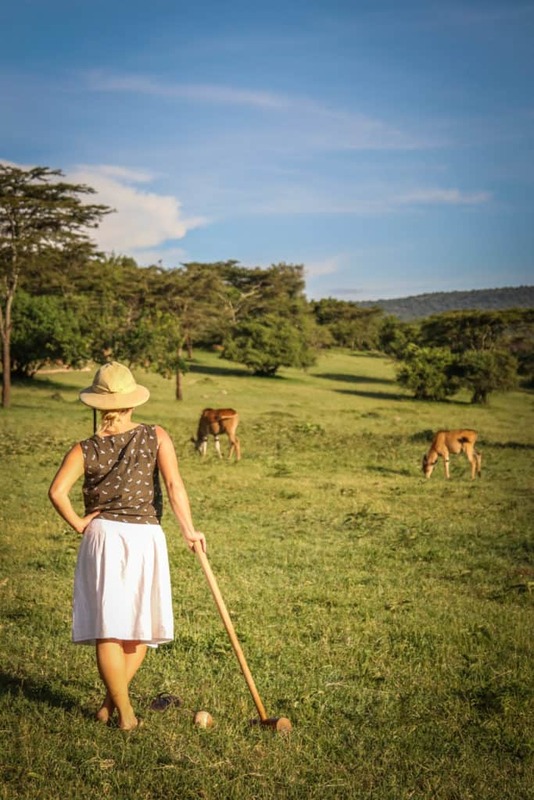 Unlike safari clothes or safari boots we would say everyone needs a hat when on safari. Especially in East Africa! 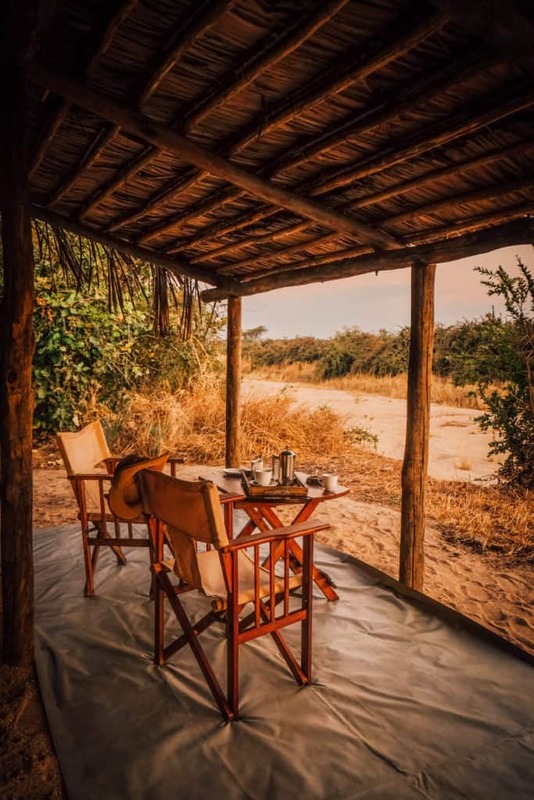 The majority of people coming on safari are from more Northern climates away from the equator and are unaware of the suns damage around Africa. The sun near the center of the earth is intense and can leave you sunburned in a matter of minutes. You spend a lot of time outside on a safari. As I said we probably do not take sun protection seriously enough, but meet anyone who has spent their days in Africa and they all wear a hat, sunglasses, and long-sleeved breathable shirt. 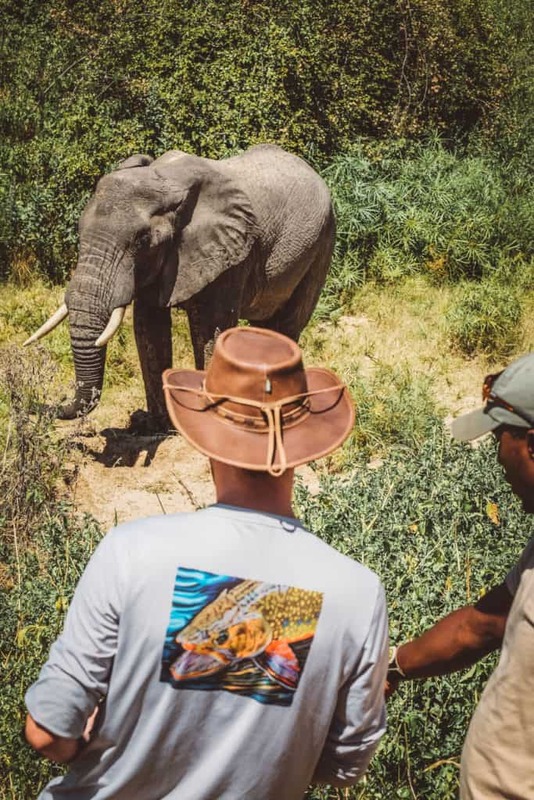 After spending a year traveling the continent we can’t suggest a safari hat more, and consider it an essential item to our Africa packing list. On our first safari, I ended up paying for it with a nice sunburn turned into scab on my face because I didn’t think about sun protection too seriously, and it cost my face dearly. Do yourself a favor and invest in sun cream and a hat. There are only a few things we absolutely stand by in packing for a safari and a good hat is one of them. At the very least bring a baseball cap or cheap packable sun hat. Safari attire often goes beyond style and cool vacation photos – it serves an important purpose. Below are our recommendations for the best safari hat. They are seperated by unisex sun protection hats, mens safari hats, and womens safari hats – but in reality it’s a hat and can go on men and women equally! We found a safari helmet! Tilley has long been famed for their sun protection hats. They’re seen the world over and have seen more than a few adventures. It holds its shape and the material has a stylish look to it. 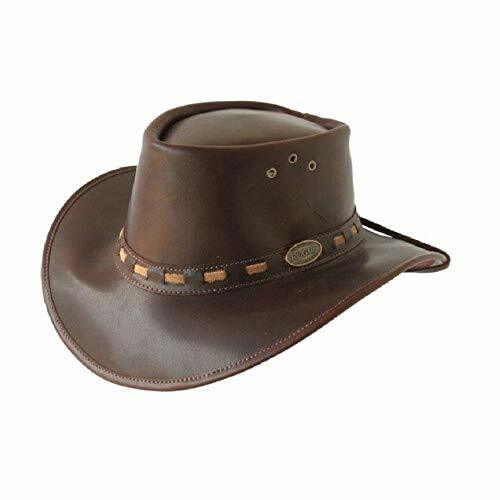 What sets Tilley apart is that they guarantee their hats for life against wear and tear. A wide brim keeps the sun off your hat. What I love in addition to the guarantee are the features such as its ability to float in the water and a hidden pocket to store and I.D. or money. It has everything you could want in a great safari hat. Although, the higher price point may deter some – just keep in mind it has a lifetime guarantee. I talk a lot about a stylish hat, but this Columbia safari cap, in my opinion, is the least attractive. However, this hat is the most practical hat and definitely a cheap safari hat out of our selection. That being said for a synthetic floppy hat that you can stuff and crush anytime it still looks pretty good. The Bora Bora is made out of nylon, is well vented, packs well, and features UPF technology. Comfort is the strongest characteristic of this hat as it keeps your head cool while sitting snuggly on your head. Unlike leather that can be itchy you’ll forget you’re even wearing this hat while out in the bush. I love the built-in sweatband to keep moisture out of your eyes. This hat may not be the classic safari hat, but it still looks great and serves it’s purpose. 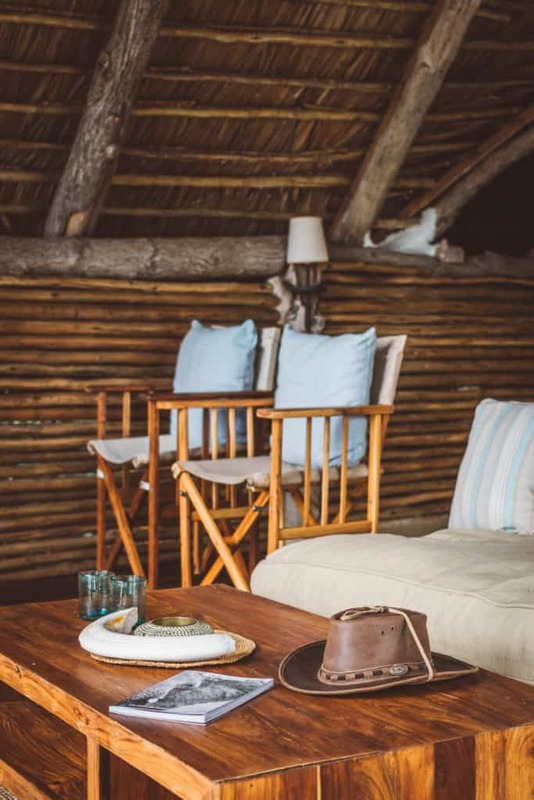 A leather hat may look good on safari, but once you get to the coastline of Africa it may be time to put it away. The Panama Jack Hat has the ability to look great on the beach and in the bush. It’s probably one of the best all around hats on this list, and it’s rugged cotton construction means you can stick it in your bag without fear of damaging it. 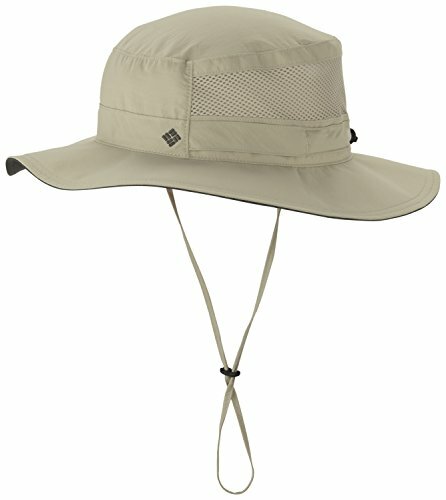 The Marmot PreCip is the best packable sun hat on this list, it’s also inexpensive and durable. You can take it anywhere with you and stuff it in your suitcase without ever having to worry that you will ruin the shape. This safari hat will keep the sun off your face while also keeping you dry in the inevitable African rainstorm. The Marmot Precip has a wide brim and water repellent NanoPro membrane. 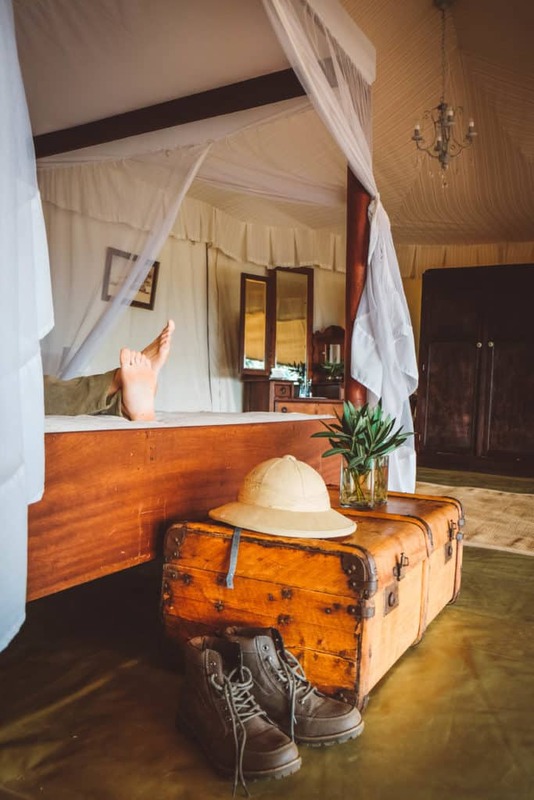 It also floats in the water which will come in handy if you decided to take a dip on one of the Zanzibar beaches or while white water rafting on the Nile River. The chin strap is both detachable and adjustable, so you can store it away if it’s bothering you. The only issue is it only comes in black so won’t look as safari-esqe in photos. I absolutely love the look of this Stormy Kromer hat. Stormy Kromer is an old school company that has been making quality hats for over a decade. They take pride in their product and manufacture it right in the US. 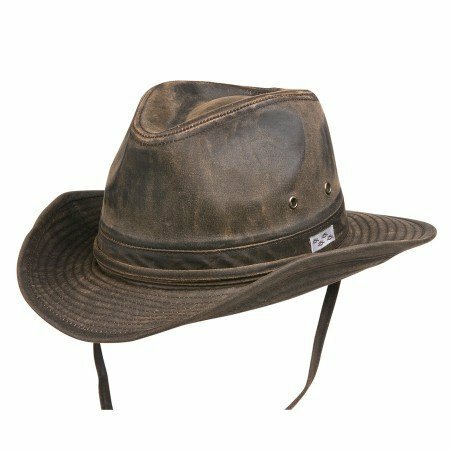 It looks sleek and stylish, not just on safari, but on any summer day on the trail or fishing in the lake making it the perfect hiking hat. Manufactured in the United States this hat gives full 360 degree coverage of the neck and face, and is finished with quality wax coating. This is one of my favorite hats on the list, but it’s also one of the most expensive. The hat is rugged and stylish and a great sun hat for men. It still is highly practical being made out of sturdy organic cotton. You wouldn’t even guess the headwear is made out of cotton upon first look as it looks very high dollar. A wide brim with built-in wire that can be adjusted assures that it accomplishes the task of sun protection. The distressed cotton wins me over for looks and could fool some for leather. This is a great winner for those who don’t like to wear animals products. This hat is a contender for the best safari hat on the list, at least according to user reviews across the internet. It’s a great looking hat that is sturdy and offers plenty of protection. The wide brim will be sure to protect you from long days in the bush and despite being black, the thick cotton material remains cool. The brim is shapeable and broad so you can bend it exactly how you would like. I could try and sell you on this hat or I can let the reviews on Amazon do the talking. If you’re doing you’re shopping in Southern Africa you will come across this hat. It’s the hat I picked up in Zimbabwe and personally wear and it’s one of my favorite safari fashion items. The Rogue hats are manufactured in Southern Africa and can be difficult to find off the continent, so if you see one pick it up and cherish it as your souvenir. However, it’s all made with great quality leather and built to last. These hats are simply amazing and mine will likely last a lifetime. 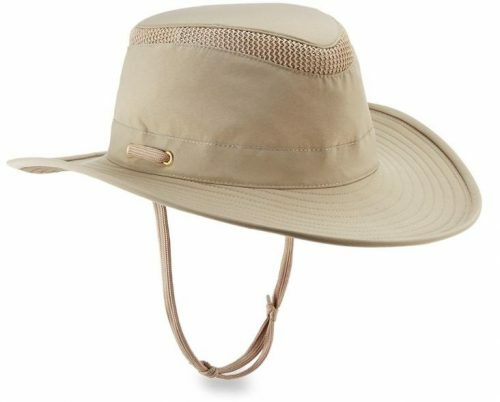 The main issue with this safari hat is that it’s not packable, and to avoid ruining it you will need to wear it on every plane, bus, and car ride until you get to your destination. The only downside is finding them, granted there is one listed on Amazon[/easyazon_link, but I would wait until you get to the continent if you can. 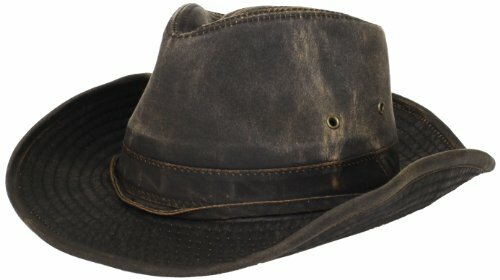 This is the perfect hat for those going into the outback, or the African bush. Like most of the hats on this list it’s made out of cotton. The cotton has been treated with oil making meaning it is water resistant. So when you get caught in a thunderstorm you don’t need to worry about the safety of your hat or getting uncomfortable. It’s a stylish hat and probably one of my favorites on the list. 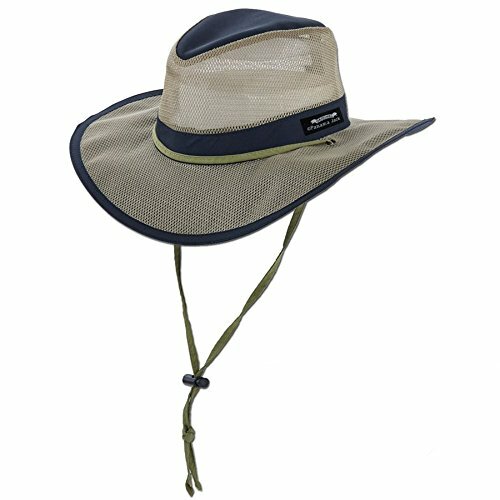 This is one of those stylish hats that isn’t just great for safari, but everyday wear and protection from the sun. It’s made out of cotton and mesh, so it provides breathability and won’t have your whole head sweating out the day. 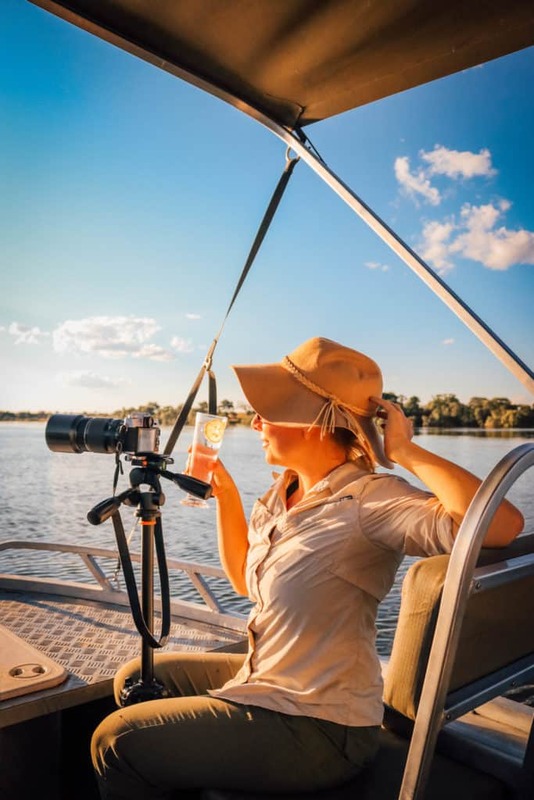 It also has an adjustable chin strap which will come in useful if your safari guide is hauling it to see a pack of wild dogs or some other amazing safari animal. Oh my, I love this safari hat for women. It’s made out of wool felt, and is an all-around great looking olive green stylish safari hat. The style is similar to a fedora with a very Western vibe. It looks great and the price point isn’t bad either. The best part about it is that for such a good looking had the material still allows you to crush the hat to fit inside your luggage. Because no one likes to have to wear their hat home on a 15-hour flight. Once you take it out of your luggage it snaps right back into shape! This is a great go to all around safari hat for women. Filson makes a great product and that is no exception with the tin packer hat. It’s water repellent and wear resistant and will last for the many years you will be returning to Africa to go on safari. The Tin Packer hat has a cotton sweatband and ventilation grommets so it’s comfortable any time of the year. While I list this as a great safari hat for women it would look great on men too! Best Camera For Safari: What Camera Is Best For You?